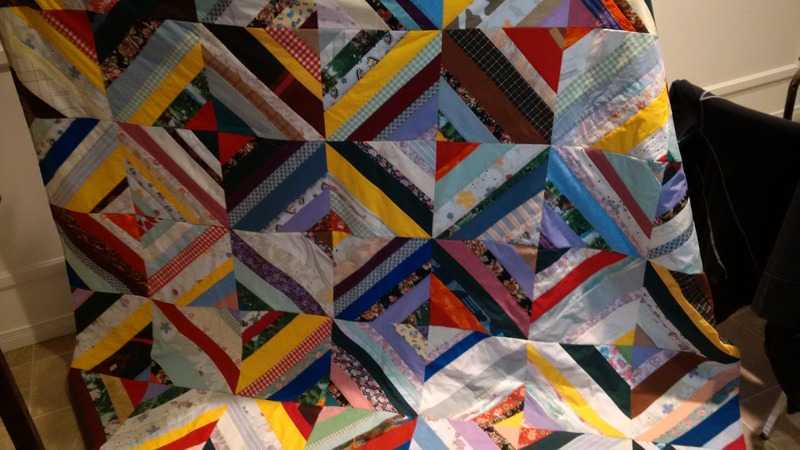 Quilting has been something my grandmother has done for decades. She has passed on this tradition to her eldest daughter but certainly more people could learn this skill. Every night, I enjoy turning in under the handmade quilt that my aunt or grandma made for me. There is something special about things that are handmade, the care and the extra bit of love put into seeing them complete. 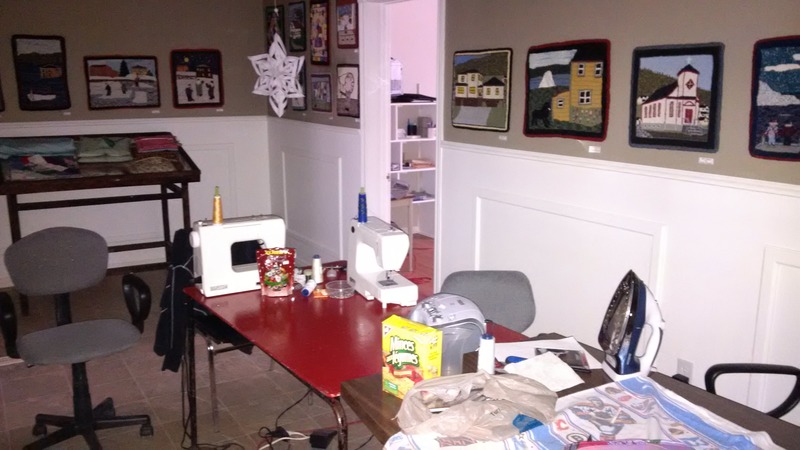 On the Great Northern Peninsula there are a number of quilting guilds. 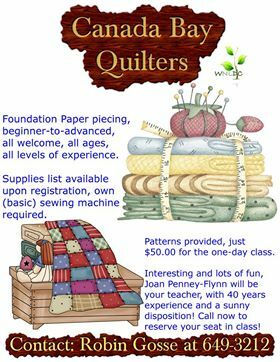 Canada Bay Quilters is a new opportuny for those of all ages and all levels of experience to learn the art of foundation paper piecing from beginner to advance. Joan Penney-Flynn has 40 years of experience and is available to teach others for a fee of $50. After a class, you should have a completed project. Information is listed below, if interest in such workshops. The Great Northern Peninsula has a long history of making things by hand. Our ancestors who came from England and other parts of Europe brought these handmade traditions and skills with them. Some of these skills were commercialized under the leadership of Sir Dr. Wilfred Grenfell as he created an industrial division that focused on handicrafts and textile products. One of the products made was the hooked rug, which are still practiced and available for sale at Grenfell Heritage Shoppe in St. Anthony as women in the region still make new and traditional rugs. 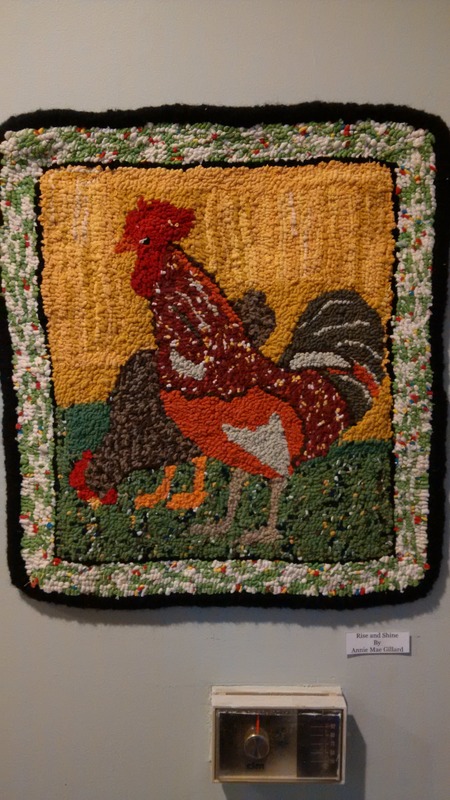 In Englee, there is a rug hooking exhibition that is open 9-5 on Monday to Friday at the Town Hall. They are also home to Glacier Glass, glass art studio and gift shop as well a space where quilting can take place. The Great Northern Peninsula is embracing all things handmade and your destination to experience these types of learning vacations, workshops or purchase handmade products. 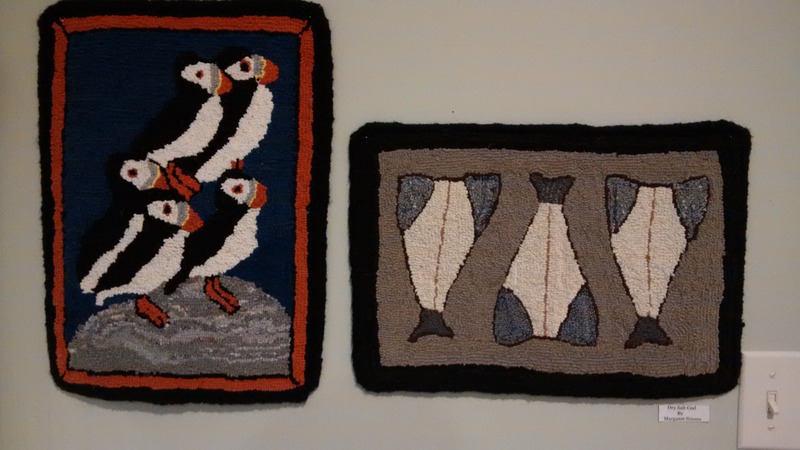 Posted on March 12, 2015, in Art, Business, Community Economic Development, Heritage, History, Tradition and tagged art, Craft, Great Northern Peninsula, Grenfell, learning vacation, quilt, tourism, Workshop. Bookmark the permalink. Leave a comment.